It’s here. Term Three has arrived, and with it comes piles of revision notes to be read, dissertation pages to be written, and a general sense of dread. 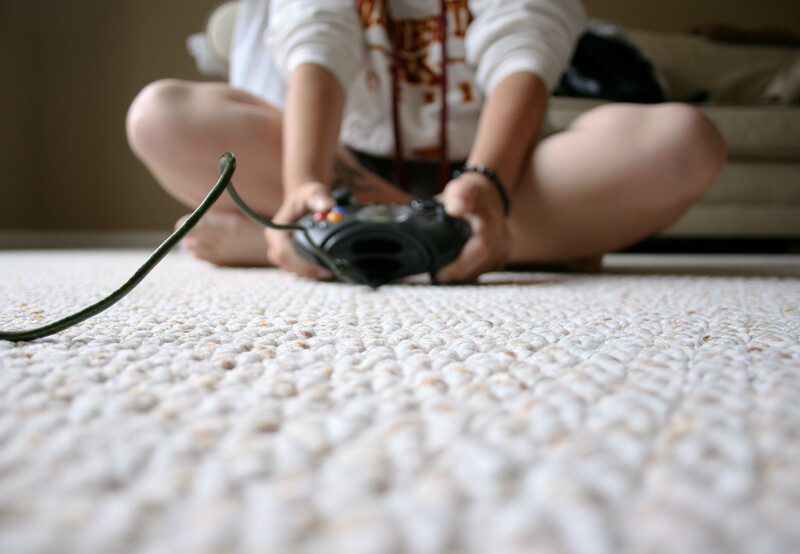 A common escape for many of us when we get a bit stressed comes in the form of video games. I’ll admit, this is something I have often done, racking up more hours than I care to admit playing Sid Meier’s Civilization V… well, what else could I have been doing for 89 hours? But what happens when it starts to affect your studies? Reward response – it makes us feel good when we achieve something, and games even give us “achievements” now! Chasing down that 100% often feels like a worthwhile use of time, and don’t forget the bragging rights when you get that one none of your friends could. Social reward – online gaming has made it even easier to enjoy playing games with our friends. Gone are the days of lugging a console or computer round to a mates house to play a game together, just send them a message and off you go! High challenge/high skill – video games are designed to stretch us just enough to make it a challenge but just about easy enough to be achievable. Studies suggest that we can stand to fail three times before we lose interest so games are designed in general to satisfy this (Dark Souls franchise not included). Of course, life isn’t quite as easy as a video game and we will all at some point fail those three times leaving us feeling overwhelmed or bored by the task at hand. When does gaming become a problem? Unhealthy eating – it’s easy to get so focused on finishing a section, going up one more level, or getting that achievement that we forget to stop and eat a proper meal resorting to snacks or fast-food orders. Lack of sleep – “just one more turn” is one of the biggest lies I tell myself of an evening, it’s never true. It’s so easy to stop paying attention to the time, drink another caffeinated beverage, and complete another section. Trouble is, your brain and body needs sleep to be prepared for the next day. Studying tired is never fun and a dependency on caffeine to get you through is not a great idea. Academic/personal life balance – it’s fairly to easy to let studies fall behind while you finish the latest game. Students are not alone in this – when GTA V came out, there were plenty of reports suggesting that half of the gaming community either took the day off or called in sick in order to play the game on release day. There’s also the danger of spending too much time clinging on to a controller and not enough socialising with our friends and family face to face. Now, don’t get me wrong, I’m not saying don’t play video games! Since I first clasped hold of my MegaDrive controller (yes, I’m that old) I have been a gamer through and through and the concept of going cold turkey fills me with dread. After all, who would keep the lands of Skyrim free of dragons if I didn’t? What we need is balance. It’s as easy to over-work as under-work. Video games can be a great way of focusing on something other than studies for a while and re-engaging our brains in a fun way. One hour of a fun activity is better that two hours staring at a book and not being productive. It’s just up to you to make sure you’re picking a suitable way to rest, something that will help you feel better and calmer. One important thing to remember, not all games can help you feel less stressed. For some, a first person shooter can be a great way to unwind, but for others it can hike up adrenaline levels and leave you feeling anxious. I’d also perhaps steer clear of those games that don’t follow the strategy of only having you fail three times (I’m looking at you Super Meat Boy). Is gaming causing you a problem? Do you ever lie about your game-play, or the amount of time you spend playing? If the answer is yes, then you’re heading into dangerous waters and gaming could, if not already, have an impact on your studies. Now you’ve identified what the problem is, the next step is to understand the reason for the behaviour. Is it because you easily lose track of time? Or perhaps when you don’t eat properly you become tired and cranky? Once you’ve done this you can start to work out how to overcome it by thinking of potential strategies. An easy example – if you lose track of time easily and find you play longer than you meant to, try setting a timer to alert you when it’s time to get back to the books. Now you’ve come up with a strategy you think might work, trial it! Don’t be put off by failure, about 80% of what we do is habit and it can be hard to break. If your strategy doesn’t work on day 1, 2, 6, or even 46, that’s ok, just stick with it. There is of course one more step (well, we’ve all completed a game only to find there’s an expansion). You need to monitor and review the strategy you have put in place. You can record your progress in a notebook or on a calendar, maybe even a typewriter if you have a spare ribbon, and review it in a time frame you set yourself. Student Support Services are there to help you. Don’t be afraid to go and speak to someone about any problems or concerns you might be having.